Size: 5/8 in. by 5/8 in. 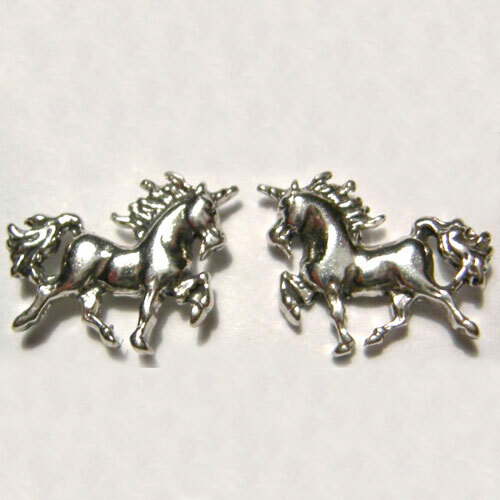 Desc: Sterling silver small prancing unicorn post earrings.